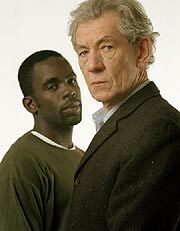 Ian McKellen in the role of "Paul"
Paul (Ian McKellen) is an ordinary man with a shocking secret. At home, he is a loving husband and father. At work, he administers the cut. 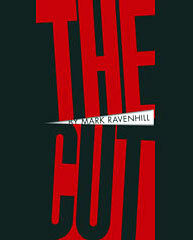 In a society sickened by his profession, Paul struggles with his conscience and longs to tell the truth. 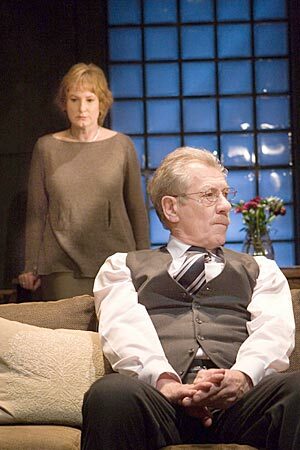 Ian McKellen last appeared at The Donmar in 1978 in Macbeth and A Miserable and Lonely Death. 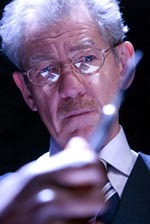 "A visceral portrait of dystopia both grips and mystifies"
"Nobody can be inwardly and outwardly ravaged like Sir Ian"
"McKellen is often riveting as the troubled Government operative, switching from urbanity to anger, and from the mundane to the lachrymose, in the blink of an eye." 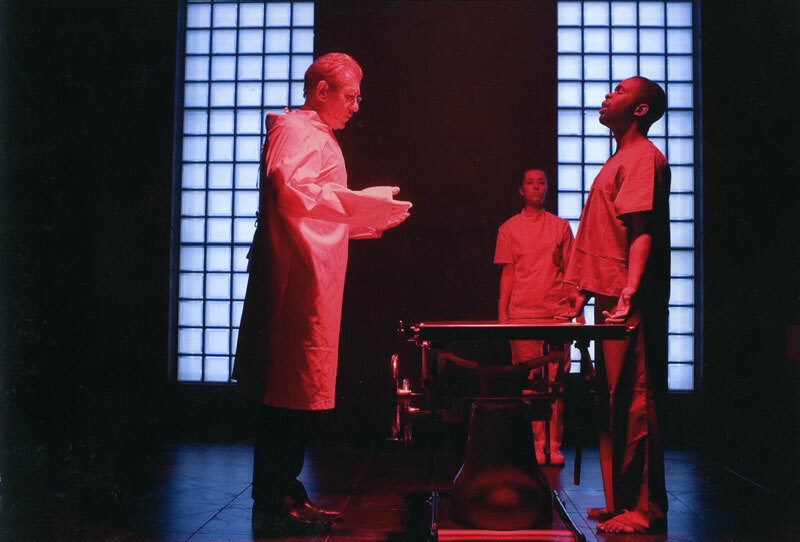 "McKellen spends 99% of the play’s 90 minutes on stage, expressing Paul’s inward and outward turmoil, and proving why he is so highly regarded as a stage performer." 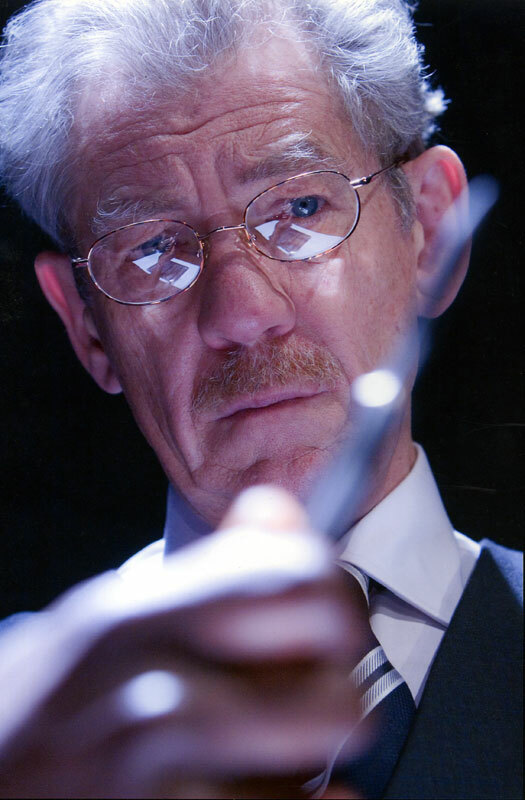 "Ian McKellen cuts a watchably creepy figure . . . makes the flesh crawl"